Sauced: Meat Mitch BBQ Sauce Whomp! Meat Mitch BBQ Sauce Whomp! Meat Mitch Whomp! 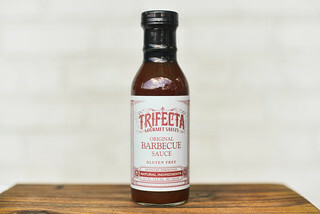 is one of the most well balanced, yet bold, barbecue sauces I've ever tasted—it was excellent out of the jar and performed like a true champion on the grill. I snapped up this bottle of Meat Mitch Whomp! when I saw it on BBQ Pro Shop mainly because I liked the packaging. Then and now, I know fairly little about the origins of the sauce. 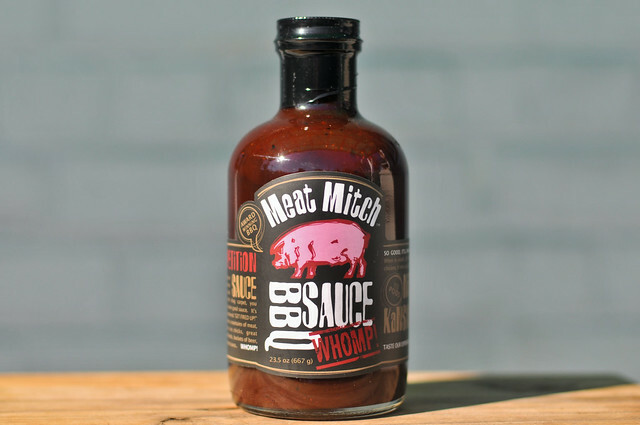 What I could unearth from some online snooping is this sauce was developed by Mitch Benjamin, founder of the competition team Meat Mitch, hailing from Kansas City. 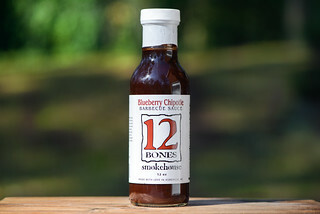 By day Mitch is a sales rep at Taylor Made Golf by day, but it's his real passion for barbecue that led to the development of this sauce in the summer of 2010, which is tailored to win competitions. This sauce has a smooth tangy tomato aroma on first smell. There's also a strong, deep sweetness that has hints of Worcestershire along with a faint smokiness. Weighing in on the heavy side of medium, this dark maroon sauce is incredible smooth with syrup-like consistency that flows in a slow, but steady stream off a suspended spoon. You can make out tons of spices as you watch the sauce fall and you can more clearly see through the otherwise very dark and opaque sauce. This is one the most well balanced sauces I've ever tried that also delivers on immense flavor. The first taste is very sweet, with dark brown sugar giving the deep molasses flavor. The sweetness is quickly put into check with vinegar, and it's here that the additional flavor of Worcestershire makes its presence known. Finally you start to get a smoky complex mixture of spices that eases its way in, but ends being the dominant trait at the end. 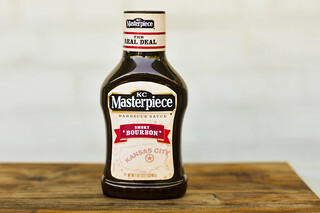 While the sauce does have the syrupy, coating properties of high fructose corn syrup—something I'm not a huge fan—it doesn't bother me here, as it seems fitting to the overall flavor, texture, and style of the sauce. 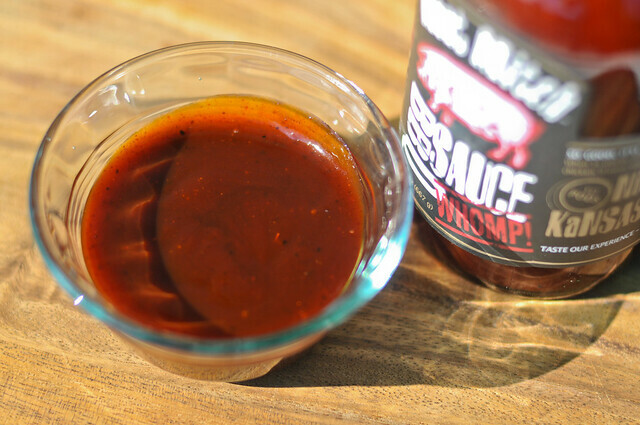 This championship sauce kept pulling out wins on the grill. First it baked in very well over indirect heat, then caramelized nicely over direct heat, with some blackening that never made the transition to burnt. The flavor continued to be very robust and balanced. Spice, vinegar, sugar, and tomato were all there and up front, working together into a seamless, bold flavor. With bold, but balanced flavors, I can't imagine anything this sauce wouldn't work well on. It would easily add a beautiful finishing glaze to ribs, give chicken the flavor it often lacks, and even stand up to heavyweights like brisket and steak. 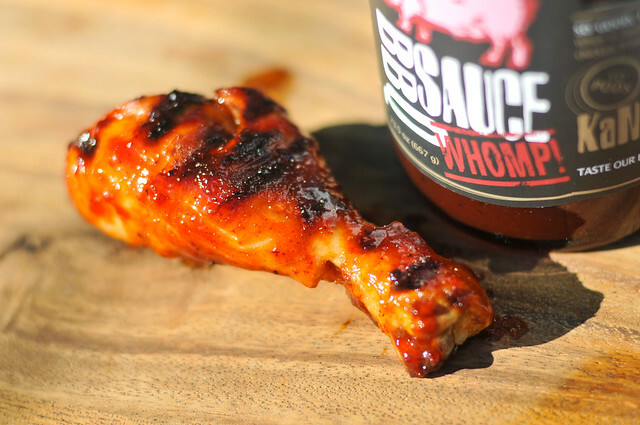 Here's a great modification for WHOMP that I use on some Asian-style ribs. It's a version of Bobby Flay's recipe, but it's better with WHOMP.